Michael Jackson autopsy report given in a Los Angeles court yesterday has revealed the King of Pop tattooed his lips pink, permanently inked his eyebrows and relied on a dark tattoo to blend his hairline into his wig. As Michael Jackson’s tour promoter, AEG, continues, a disturbing photograph of the fallen pop star’s corpse was shown to the court on Monday by Dr. Christopher Rogers. His coroner’s report described Michael Jackson as a man whose struggle to hide a skin pigmentation disease forced him to mask his true features but who would have lived a long life had he not overdosed on propofol. 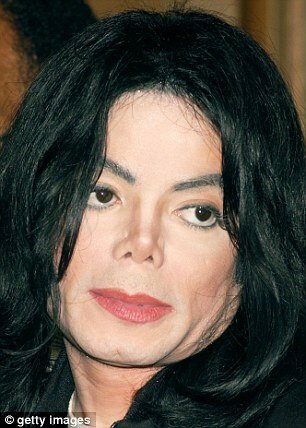 The revelation of Michael Jackson’s permanent make-up comes during the trial brought by the singer’s mother and children who claim AEG shares blame in his death for neglecting to vet and supervise his personal physician, Dr. Conrad Murray. AEG, which was organizing Michael Jackson’s planned comeback concerts in London, claims it was not responsible for the star’s decision to employ Conrad Murray as his doctor. Dr. Christopher Rogers confirmed from his autopsy that Michael Jackson’s skin became lighter in the 1980s owing to “vitiligo, a skin pigmentation disease”. The doctor also confirmed that an overdose of propofol killed the pop star although several other types of sedative administered by Dr. Conrad Murray the same morning contributed to his death. “I would not expect that, no,” Dr. Christopher Rogers responded. Los Angeles coroner’s toxicologist Dan Anderson also testified on Monday that the level of propofol in Michael Jackson’s body was “consistent with major surgery anesthesia”. Propofol, a sedative used in operations and even executions, was allegedly taken so often by Michael Jackson that he referred to it as “milk”. He went on to explain how when propofol is administered to a patient, a number of staff should be on hand equipped with sophisticated medical devices to intervene if the patient stops breathing. Furthermore, he testified, were it not for the lethal dose of the drug, Michael Jackson’s overall health would have promised him a normal lifespan. With no signs of addiction to street drugs, or any heart disease that some have insinuated triggered his death, “there was no indication from the autopsy that there was anything anatomically wrong with him that would lead to premature death”, Dr. Christopher Rogers said. CNN noted the importance of Dr. Christopher Rogers’ testimony in calculating Michael Jackson’s expected lifespan as it would relate to damages. If he had not passed, the fact that the pop star would have continued to make billions of dollars will affect the number the Jackson family expect. AEG continue to argue that Michal Jackson chose Dr. Conrad Murray as his tour medic and the company had no way of knowing what he was giving the singer to sleep at night.